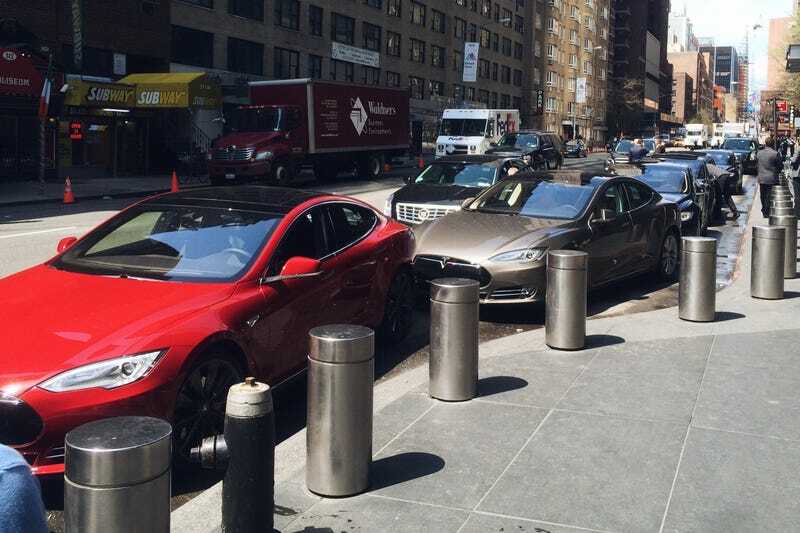 What should we call a group of Teslas? I’m thinking swarm - that’s the name for group of electric eels. It’s a “sprinkle” of fireflies, so that doesn’t work at all. I have no idea what they were doing here. Sometimes working in a soulless glass tower has its perks. Sometimes.